You know that feeling when you learn you’ve been doing something wrong? I call it an “oh bummer” moment. I’ve been having that feeling a lot in the past year, ever since I threw myself into holistic and real food healing. One example is my heartburn treatment. A few years ago, before I turned into a holistic-healing-obsessed hippie, I developed chronic heartburn and was given Prilosec, a prescription heartburn medication. Although the medication stopped the digestive pain, After a year on the medication, I decided to listen to my body’s message of apprehension and I quit Prilosec. As I transitioned slowly into real food, my heartburn gradually improved. Finally, when I started the GAPS diet, it nearly disappeared within two weeks. Recently, I’ve discovered the key interaction between heartburn, stomach acid and overall health. Learning this certainly brought an “oh… bummer” moment. Fortunately, it means I can share this eye-opening information with you! Heartburn occurs when stomach acid is to high and should therefore be treated with antacids (Tums, sodium bicarbonate, milk of magnesia) or drugs which inhibit stomach acid secretion (Prilosec, Zantac, Pepcid). Heartburn usually accompanies low stomach acid, which leads to poor absorption of key nutrients. A nourishing diet and proper supplements offers an effective, long-term solution, while heartburn medications can further increase nutrient malabsorption. Heartburn, indigestion and GERD result when the lower esophageal sphincter (LES)–the valve which closes of the stomach from the esophagus–malfunctions. 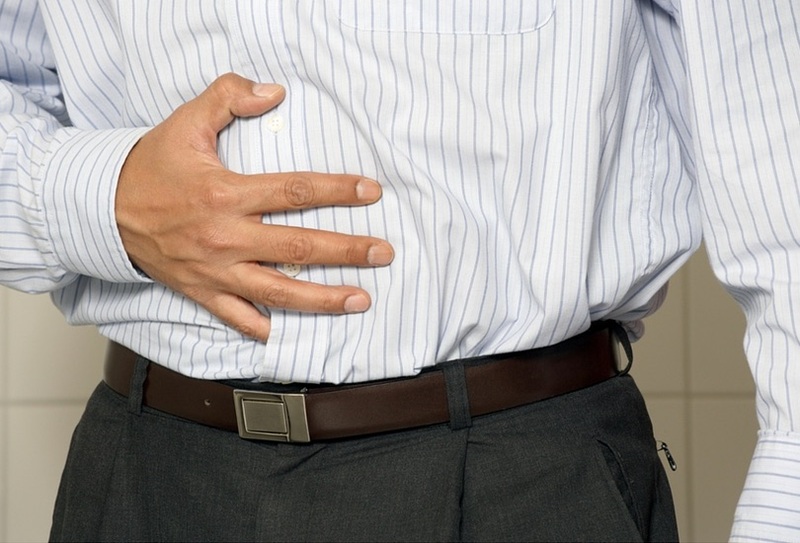 Instead of tightly closing after food has entered the stomach, it loosens and acidic stomach fluid escapes into the lower part of the esophagus causing a burning sensation. Even low stomach acid levels will cause this burning if the LES malfunctions. According to Dr. Jonathan Wright, a leader in holistic medicine and author of Why Stomach Acid is Good For You, 90% of those with heartburn have low stomach acid. What can cause LES malfunction? Caffeine, nicotine, alcohol, food allergies, low stomach acid, acidic fruits, carbonated beverages, sugar, overeating, certain drugs… Obviously, a lot of factors play into LES malfunction. On the bright side, dietary changes and proper supplementation will go a long way in fixing the LES and ameliorating heartburn. Now that we know heartburn/indigestion results from LES malfunction and not high stomach acid, heartburn medications don’t seem like a logical solution to the problem. Heartburn medications work by raising the pH (lowering the acidity) of the stomach contents. This stops the sensation of heartburn, because stomach contents reaches the esophagus but doesn’t burn. However, the food is still undigested due to lack of acidity, and the LES is not closing properly. See the problem? Of course, don’t discontinue or change the dose of a current prescription without consulting your healthcare provider. I did wean myself of my heartburn medication, but I need to tell you to do what I say, not what I do. Why is enough stomach acid important? Low stomach acid cannot properly breakdown proteins into amino acids. Lack of amino acids in the bloodstream means less available neurotransmitters which can mean mood disorders like depression. Further, food allergies can result when the undigested proteins escape into the bloodstream. Low stomach acid fosters imbalanced gut flora. Pathogenic and food borne bacteria, usually killed by the low stomach pH, can make their way into the intestines. Further, lack of acidity in the stomach makes it more hospitable to bacterial growth (and the stomach should be relatively sterile). Low stomach acid leads to nutrient malabsorption. Specifically, when proteins aren’t fully broken down, B12 absorption is disrupted. Folate and non-heme iron absorption are also affected by low stomach acid. Naturally increase your stomach acid with the dietary and supplemental steps I discuss in my post, How To Heal Low Stomach Acid Naturally. Eat slowly, while sitting down and breathing deeply. The body must be in the parasympathetic nervous system state to produce gastric juices. Stress turns off digestion, and thereby turns off stomach acid secretion. For many people, 2 teaspoons of apple cider vinegar taken in 1/2 cup of water will immediately stop heartburn. The acidity of the vinegar triggers the lower esophageal sphincter to close. Also drinking Bio K has helped me. It’s important to replace probiotics after antibiotics. Finally finding answers o my acid reflux/esophagitis. I have had it 24/7 since December 2017.I am so tired of my lips, roof of mouth, tongue, throat down my esophagus to stomach and it burns clear across my upper chest down to above my umbilical spot. The docs kept giving me protonix, carafate, and dexilant all at same time with no change in symptoms.I got pretty suicidal for a while. I finally decided it was in my court to find something to help.I found lots of literature and decided I had to have low acid. I called a pharmacists that also does supplement and believes in blood type A diet. Then I found this article and look forward to trying some of the recommendations.